Contune International supply metal accessories for overhead lines,including transmission line,power distribution line and substation line. 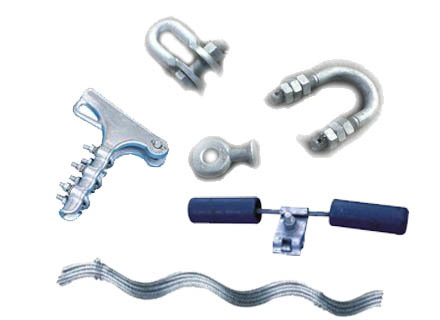 Our line accessories are mainly conform with IEC standard or Australia Standard. Material of our line fittings are steel ,stainless steel and aluminum or copper. For the steel items,they are all hot dip galvanized for anti-erosion. The oh-line accessories supplied by us are widely used in Middle East,Africa,Asia,Europe,from 11KV distribution line to 220kv transmission line.